Is Acid Reflux (gerd) Keeping You Up at Night? Meet Reflux Guard: The Ultimate Under Mattress Bed Wedge! A Mattress Incline Wedge That Elevates the Head-Of-Bed Under the Mattress for Nighttime Sleeping with Heartburn, Gastroesophageal Reflux Disease. Stop the agonizing pain and horrible taste in your throat! Would You Pay A Nickel For A Good Night’s Sleep? Waking at night with a burning sensation in your chest. Suffering from heartburn long after you have gone to bed. Having that hot burning acid feeling that shoots up into your throat. 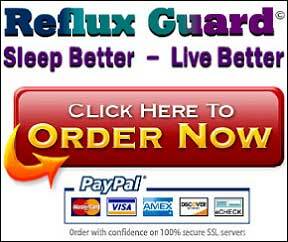 What Reflux Guard™ Can Do For You? Do you or someone you know suffer from heartburn, stomach acid reflux, the inability to get a good night’s sleep without waking to sudden, agonizing pain, and a horrible taste in your throat? The makers of REFLUX GUARD™ understand because they have suffered this same condition. Tested for about a decade, REFLUX GUARD© was developed by a team of medical, engineering, and business partners and is now available to everyone. 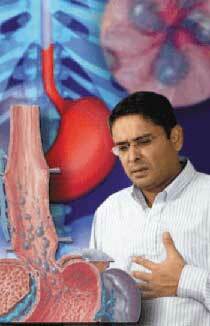 Why Do You Need Reflux Guard™? Frequent episodes of heartburn can be painful and ruin your quality of life. But did you know it can also leave you vulnerable to more serious illnesses such as Barrett’s Esophagus, a serious pre-cancerous condition, or even esophageal cancer? When you lie down at night, the stomach’s position can enable corrosive bile and acid to back up into the esophagus. The symptoms can last for days and may get worse each time you lie down again, especially if it is soon after eating. This back up can cause serious, life-threatening damage – in extreme cases, it can even be tasted and cause damage to teeth enamel, cause pneumonia, and reactive airway disease. Doctors can prescribe over-the-counter medications that relieve only some of the symptoms but even these medicines, if used for long-term relief, can cause dependency and overuse can also cause long-term damage and serious side effects. 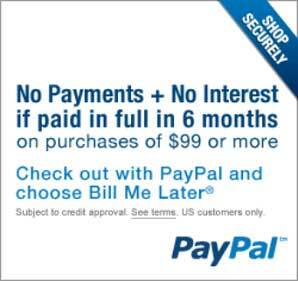 This can also become expensive, as you must continually buy medication. As soon as you stop the medication, the painful agonizing burning sensation will likely return. 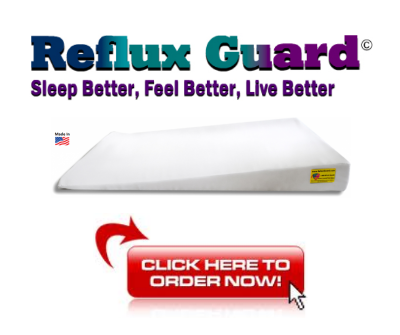 REFLUX GUARD™ is an effective and non-invasive permanent solution to preventing stomach acid reflux when sleeping at night or during the daytime. You buy REFLUX GUARD™ today and it is yours – a one-time purchase for lasting relief from Gastroesophageal reflux disease (GERD). The only addictive part of REFLUX GUARD is that you will want to take it with you whenever you sleep away from home. Does sleeping with the Head-of-Bed elevated really help you with reflux relief? In essence, Reflux Guard introduces gravity to your system while sleeping. When you lay down horizontally you need gravity to keep acid and stomach content in the stomach. In the event some should escape, gravity can bring it back down into the stomach. Understand The Mechanics of Acid Reflux and take a look How our Under Mattress bed wedge works, why it is so amazing and how different & most effective it is than all other solutions out there.